This cigar represents our tradition of almost 2 centuries in the tobacco art. It is a favorite among connoiseurs and represents the determination of our company to offer a unique product. Santa Clara 1830 is the perfect cigar for those who know how to appreciate the patience in the aging of an exceptional tobacco. 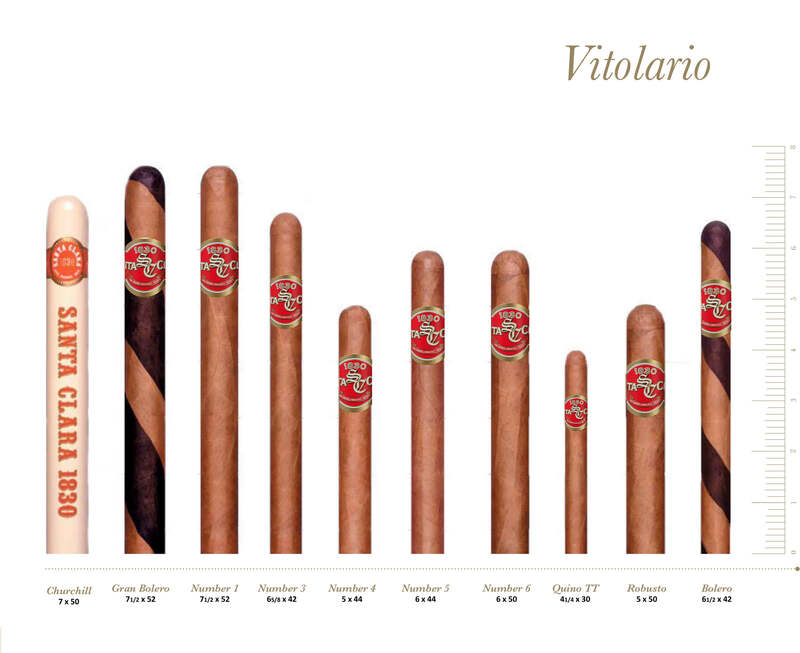 To preserve their optimum freshness, these cigars are individually packed in aluminium tubes. Unique flavor achieved with the precise combination of two tobacco wrapper varieties: Natural and Maduro. Available in two sizes in boxes of 20 cigars or in a fine indivual wood case. Enjoy a cigar with an exceptional taste and aroma combining the best of two worlds.